I needed to take a few things for a quick overnight camping trip, so I threw it all in my trusty Adidas bag. It occurred to me as I lugged around this old bag that I've been using it for what seems like forever. I believe I received it as a gift when I was about ten years old, and it's been my go-to bag ever since. If it ain't broken, why fix it? My Adidas bag and I go everywhere together. I believe that was a gift from John and Dianne. It sure is a good advertisement for Adidas. 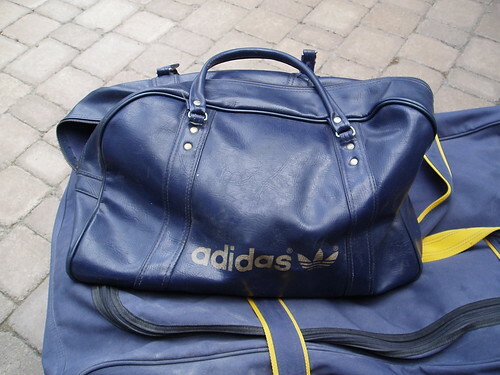 How much does my 1982 Adidas bag go for these days?